Apple has officially continued the development of its iOS 11 platform by seeding the first beta of iOS 11.3 to those individuals registered with the Apple Developer Program. The activity means that iOS 11.3 beta 1 is now available to download by all registered developers with a compatible iPhone, iPad, or iPod touch. It’s difficult to believe that iOS 11 was only released to public back in September prior to iPhone 8 and iPhone 8 Plus landing in the market. In the time that has followed, compatible device owners who are also members of Apple’s testing faithful have had the fortune to download and interact with a significant number of pre-release and public releases. We are now sitting with iOS 11.3 beta 1, which is Apple’s third major update to iOS 11 behind iOS 11.1 and iOS 11.2, the latter of which introduced wonderful new functionality such as unlocking Apple Pay Cash and 7.5W faster wireless charging. As far as features and improvements go, as mentioned in our original announcement post, iOS 11.3 adds in new Business Chat for iMessage, new Animoji characters, new battery and health features, among many other features and changes. 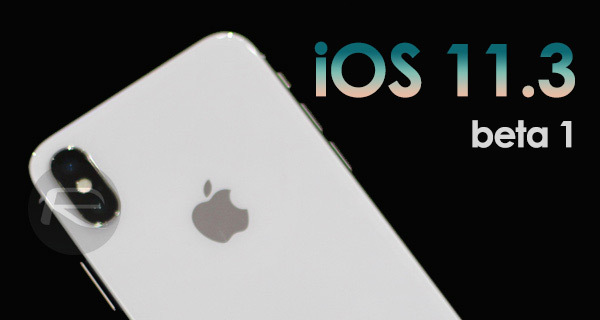 As always, as time progresses and we sink out teeth into iOS 11.3 we will continue to update with what we find as we are sure iOS 11.3 will contain a lot more hidden gems which Apple likely skipped on in its announcement post. It is also important to note that iOS 11.1.2 jailbreak has also been achieved minus the support of Cydia and Cydia Substrate as of right now, but that is expected to be rectified soon enough. If jailbreaking is something you’ve been meaning to get up and running with, you best steer clear of iOS 11.3 till further notice. For those with the necessary developer privileges, or with an iOS beta configuration profile stored on their device, the initial pre-release seed of iOS 11.3 is available to install right now from developer.apple.com both in IPSW and configuration profile form so that it can be installed via OTA update from Settings > General > Software Update section of iOS. Apple says iOS 11.3 beta 1 for public testers will be followed soon enough. We will let you know whenever that happens, until then, stay tuned. 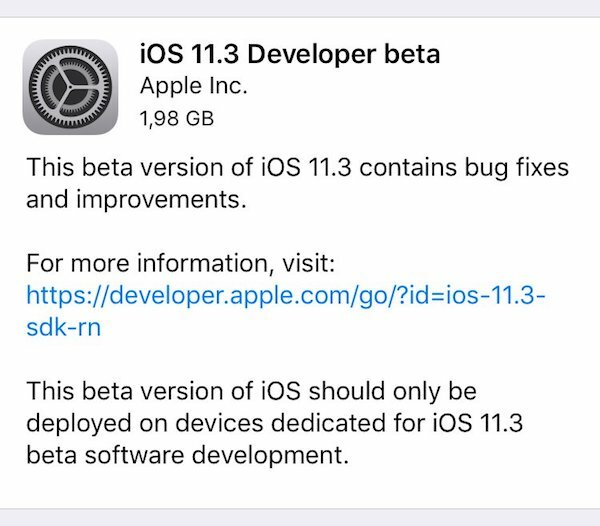 Update x1: Here’s how you can get beta 1 of iOS 11.3 without developer account right now: Download iOS 11.3 Beta 1 OTA Via Configuration Profile File Without Developer Account. Update x2: Developer release notes of iOS 11.3 beta 1 are up: iOS 11.3 Beta 1 Release Notes, Changes, Features: Everything New In One Place.